The Taha Hussein museum will host an array of artistic and cultural events between 26 and 28 October to commemorate the 40th anniversary of the death of writer and novelist, Taha Hussein, who died on 28 October 1973. The event is organised by Egypt’s Fine Arts Sector, headed by Khaled Srour. The events include a children’s tour of the museum; a screening of a documentary on the iconic writer, produced by the National Council for Children’s Culture; a story telling workshop, and a number of lectures. 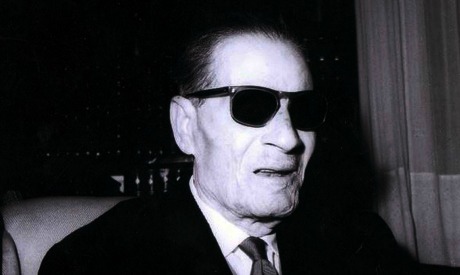 Hussein (1889 –1973) was a pioneer of modern Arabic literature. He authored dozens of works – criticism, literature and translation – the most controversial of which were On Pre-Islamic Poetry and Al-Ayyam (“The Days”). Despite having lost his eyesight at the age of three due to poor medical treatment, Hussein obtained his PhD in 1914 on the poetry of Abu-Alaa Al-Maari, becoming a professor of Arabic Literature and later minister of education. Located in Giza governorate, The Taha Hussein museum opened to the public in the early 1990s.